Carol J. Clark, 81, of Smethport, PA, formerly of Bradford, passed away on Saturday, February 9, 2019 at the Lakeview Senior Care and Living Center, Smethport. She was born on April 8, 1937 in Olean, NY, the daughter of the late Patrick and Laura Fowler Milliron. She was a graduate of the Bradford Area High School. On April 10, 1982 in Bradford she married Robert B. Clark who preceded her in death on October 18, 2011. Carol enjoyed listening to music and she used to play the piano. She was a member of the former Orak Grotto and a former member of the Emanuel Lutheran Church. She was employed by Bell Telephone in Bradford and Warren for many years until she started working for the Zippo Manufacturing Co.; where she only worked for a few years until her retirement. 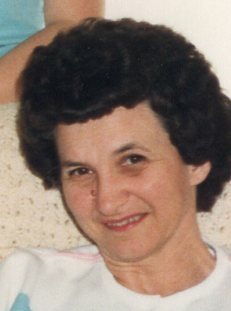 She is survived by two sons, Dennis (Sandy) Peterson of Easton and Daniel (Laura) of San Diego, CA; one daughter, Diane Clark of Olean, NY; three brothers, Larry (Esther) Milliron of McCormick, SC, Gary (Deb) Milliron of Gifford and Phillip Milliron of Cyclone; seven grandchildren; one great granddaughter and several nieces and nephews. In addition to her parents and husband she was also preceded in death by one brother, Jim “Mike” Milliron and her first husband, Franklin “Pete” Peterson. Visitation will be held on Friday, February 15, 2019 at the Emanuel Lutheran Church from 11:00 AM until 12:00 PM with funeral services to immediately follow at the church at noon with the Rev. Thomas Pierotti officiating. Burial will be in McKean Memorial Park, Lafayette. Memorial contributions in her memory can be made to the Emanuel Lutheran Church, 152 Seward Ave., Bradford, PA 16701. Online Condolences can be expressed at www.maschofuneral.com.